WE ARE THE SPECIALISTS IN LOCAL DAY RATE REMOVALS IN BRISTOL CITY. IF YOU ARE MOVING WITHIN THE BRISTOL CITY AREA, THEN WE CAN OFFER YOU DISCOUNTED FLEXIBLE DAY RATE PRICES DEPENDING ON THE DAY OF THE WEEK OR MONTH. 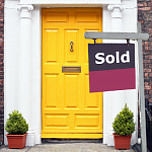 To qualify for our local day rate deals you must be moving home within Bristol city. FLEXI, NORMAL AND PREMIUM DAY RATES EXPLAINED. Weekends, bank holidays and end of the month are very high in demand. Week days can be quieter and low in demand. We have developed a three level flexible pricing structure to suit customer budgets and demands. *Free packing material and goods in transit insurance is included on all moves as standard. please contact us today to find out more about our local Bristol removal services and how we can help.